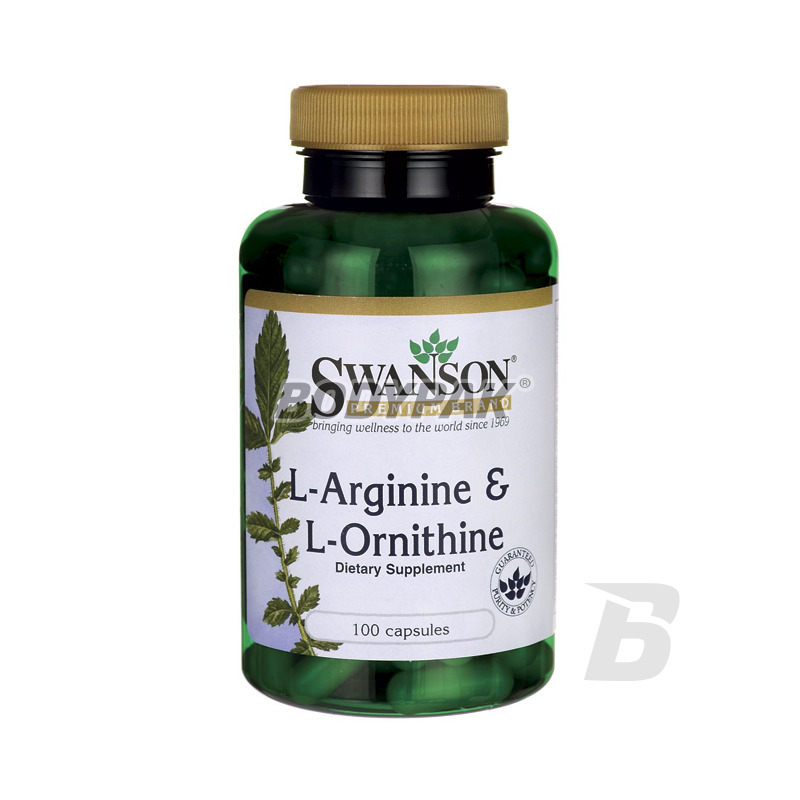 Amino AcidsSwanson L-Arginine & L-Ornithine - 100 kaps. Swanson L-Arginine & L-Ornithine - 100 kaps. L-Arginine L-Ornithine & - a supplement containing a unique combination of amino acids that promote the production of somatotropin - human growth hormone (Human Growth Hormone). L-Arginine & L-Ornithine in combination increases the growth of lean muscle mass, reduces subcutaneous fat reserves, increases energy production, supports the libido and accelerates the regeneration of the whole body especially after intense exercise. 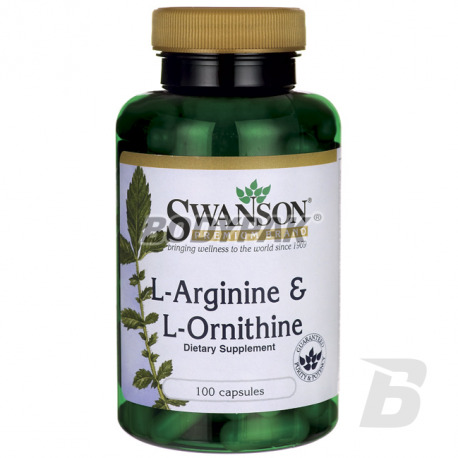 The L-Arginine L-Ornithine & includes: L-Arginine - is an amino acid endogenous wide range of use. - L-arginine acts on the cardiovascular system by promoting nitric oxide production in endothelial cells. As a result, the smooth muscles get information about the relaxation resulting in improved circulation. This is a desirable effect for prevention of hypertension tętnicznego. L-arginine may also normalize platelet aggregation (tendency to develop clots) in patients with high cholesterol levels. - L-Ornithine - is an endogenous amino acid which is formed of L-arginine in the body. L-ornithine stimulates the production of growth hormone, excess fat metabolism increased. It is essential for maintaining a healthy immune system and liver function. It helps to rebuild damaged tissue. 1 caps. Fasting and at bedtime.